Your inner history buff will appreciate Santa Monica Pier and Hollywood Walk of Fame. Get outdoors at Venice Beach and Boardwalk and Santa Monica State Beach. Explore Los Angeles' surroundings by going to Santa Monica (Montana Avenue, Santa Monica Farmers Market, & more). 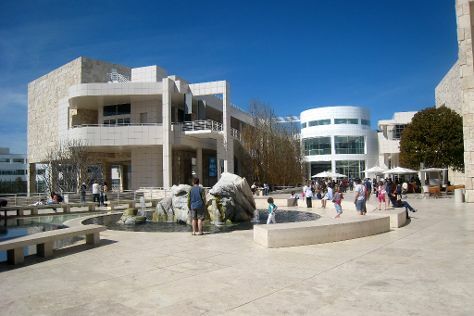 And it doesn't end there: see the interesting displays at The Getty Center, get a taste of the local shopping with Abbot Kinney Boulevard, look and learn at Griffith Observatory, and take an in-depth tour of Museum of Tolerance. For maps, where to stay, photos, and other tourist information, read Los Angeles journey tool . Perth, Australia to Los Angeles is an approximately 24-hour flight. Due to the time zone difference, you'll gain 16 hours traveling from Perth to Los Angeles. Traveling from Perth in August, expect Los Angeles to be somewhat warmer, temps between 34°C and 22°C. Cap off your sightseeing on the 5th (Thu) early enough to travel to Bakersfield. Bakersfield is a city in California, United States, and the county seat of Kern County. Kick off your visit on the 6th (Fri): get engrossed in the history at Kern County Museum, then get some fabulous bargains at Outlets at Tejon, and then contemplate the long history of Tehachapi Loop. On the 7th (Sat), you'll have a packed day of sightseeing: take a memorable tour with Tours and then examine the collection at Buck Owens' Crystal Palace. To see photos, traveler tips, maps, and other tourist information, refer to the Bakersfield trip itinerary planner. You can drive from Los Angeles to Bakersfield in 2 hours. Traveling from Los Angeles in September, you will find days in Bakersfield are a bit warmer (39°C), and nights are about the same (22°C). On the 8th (Sun), wrap the sightseeing up by early afternoon so you can travel to Visalia. Visalia is a city situated in the agricultural San Joaquin Valley of California, approximately 230mi southeast of San Francisco, 190mi north of Los Angeles, 36mi west of Sequoia National Park and 43mi south of Fresno. Kick off your visit on the 8th (Sun): get some fabulous bargains at Tulare Outlet Center. To find where to stay, photos, traveler tips, and other tourist information, refer to the Visalia travel route website . Getting from Bakersfield to Visalia by car takes about 1.5 hours. Traveling from Bakersfield in September, expect slightly colder with lows of 17°C in Visalia. On the 10th (Tue), you're off tohome.